Vireyas are a long-lived flowering shrub with a brilliant flowering show year after year in a semi-shaded position. 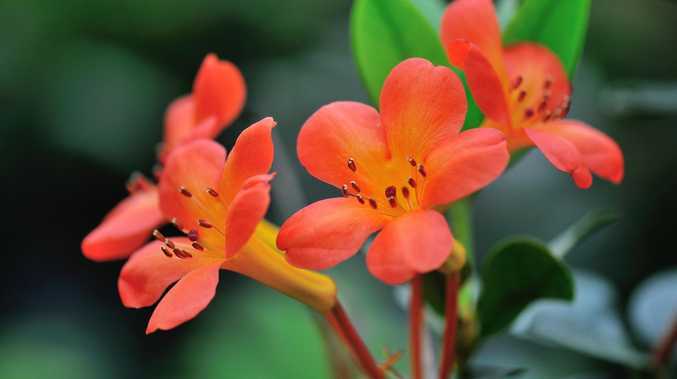 Often somewhat misleadingly called "tropical rhododendrons", they thrive in subtropical and even warm temperate climates. Vireyas are a diverse group, ranging in height from 30cm-2m tall. They have deep green, leathery, oval-shaped leaves and clusters of brilliant, sometimes scented, trumpet-shaped blooms at the ends of the branches for most of the year, peaking in spring. The flowers range in colour from white, pink and yellow to orange and red. To replicate the plant's natural habitat, choose a bright location (but with protection from the burning sun), a free-draining planting medium, and keep the root zone well mulched. The ideal position for a vireya would be one with three to four hours of morning sun and then filtered light for the rest of the day. If the position is too dark, growth will be weak and spindly, and flowering will be impaired. Like other epiphytes, vireyas grow brilliantly in pots. Some forms make spectacular hanging basket specimens. Deadheading is advisable to prolong the flowering display. Some pruning may be required after flowering to keep a tidy shape. Vireyas are easy to grow and will reward you with a spectacular display for many years.